The CW just released news of eleven renewals for next season and The Vampire Diaries is among them. Was Nina Dobrev hoping that TVD was going to fall flat on its face after her untimely departure? Is she disgusted that her revenge plan against Ian Somerhalder and Nikki Reed failed? When The CW migrated The Vampire Diaries to the Friday night lineup, it seemed like a harbinger of doom for the supernatural series that is marketed to a younger demographic. And true the ratings are lower on Fridays than they were when it was a Thursday show, but The CW seems not to mind. Friday night ratings have lower expectations, but still, with views of around a million for both The Vampire Diaries and companion show The Originals, the renewal is surprising news. Other Friday shows like The Amazing Race and Grimm draw in four to five million viewers. 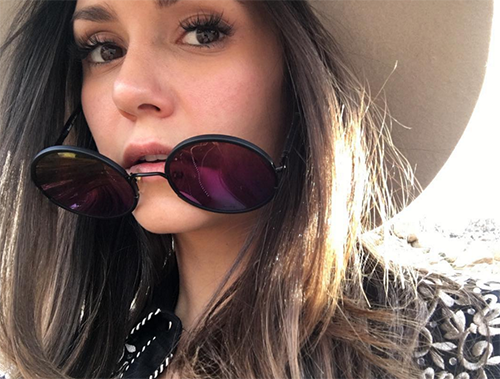 Is Nina Dobrev seething that the show she made famous will survive two seasons (and possibly longer) without her? Some TV gossip has indicated that The Originals would absorb some cast members and The Vampire Diaries would be canceled, but that has proved to be false. Dobrev has a new boyfriend and some smallish movie parts, but it’s nothing like her starring role on The CW show. After Ian Somerhalder’s split with Dobrev and rapid-fire romance with Nikki Reed that turned into marriage, it seemed like Nina was ready to put some distance between them. Quitting their hit show seemed the perfect revenge to try and ruin his career which would also impact Nikki. No doubt Nina Dobrev was jealous that Ian Somerhalder never put a ring on her finger… But now it looks like Ian and Nikki will have the last laugh and not Nina! Nikki Reed has set up housekeeping in Georgia with Ian and is frequently on the set of The Vampire Diaries. No doubt it chafed Nina to see the happy couple together. Nikki and Ian have even adopted animals together that they call their “babies” and looks like real babies might be on the way soon! Imagine how Nina Dobrev will handle that news…What do you think, fans of The Vampire Diaries? Are you thrilled with the renewal news? Do you feel sorry for Nina Dobrev or are you Team Ian? Share your comments below and come back to CDL for more The Vampire Diaries news and live recaps.